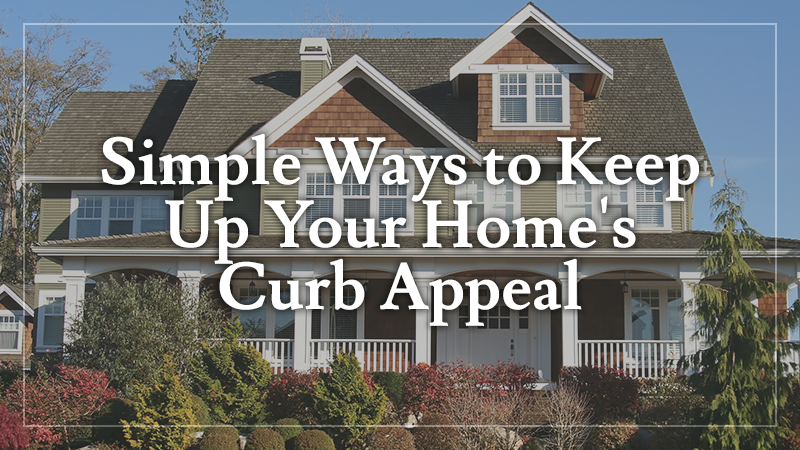 Whether you’re thinking of selling your home in the next few months or the next few years, paying attention to curb appeal is important. Doing so can boost your home’s value and attract a higher number of potential buyers. You don’t have to take on a big exterior remodeling project to enhance your home’s exterior. Here are some simple ways to improve it. If your front door is in good condition and you don’t need to replace it, consider giving it a fresh coat of paint to make it look brand new. You can either paint it the same color it is now or go with a different tone that helps enhance the exterior of your home even more. Either way, this fresh paint job will give your home a welcoming look for potential buyers. Consider updating your outdoor lighting fixtures. Look for ones that go with your home’s style and add to it rather than blending in with it. Depending on this style, you can choose lighting fixtures that have a contemporary look or perhaps add a vintage flair to your house. These fixtures help give your home’s exterior a slight makeover while also making it look safer and more inviting for potential buyers when it’s dark out. Don’t overlook the roof of your home when you’re looking for ways to improve its appearance. Missing shingles, discolorations and other flaws can turn potential buyers away. Check your roof for signs of flaws or damage that needs to be repaired. Keep in mind that fixing up your roof isn’t just about its aesthetic appeal. It also ensures that your home is protected from rain and other elements. 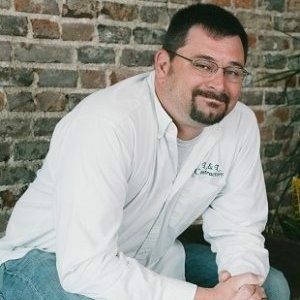 If you don’t feel comfortable doing roof repairs on your own, consider having a contractor handle them for you. One of the easiest ways to boost your home’s curb appeal is by replacing the exterior hardware. 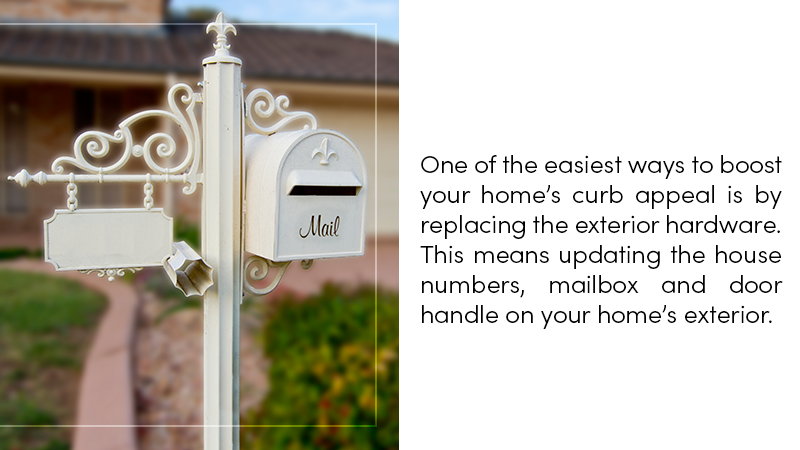 This means updating the house numbers, mailbox and door handle on your home’s exterior. While these might seem like small changes, they can have a bigger impact on making your home seem more appealing. If your home’s exterior is looking a bit dull or dirty, use a power washer to clean it up. Power washing is powerful enough to get rid of dirt that builds up on home exteriors over time. If your home’s siding is still in good shape, this might be all you need to do to improve the way it looks. Keep in mind that if you have damaged siding or paint that’s peeling, you’ll need to replace it or give it a fresh coat. 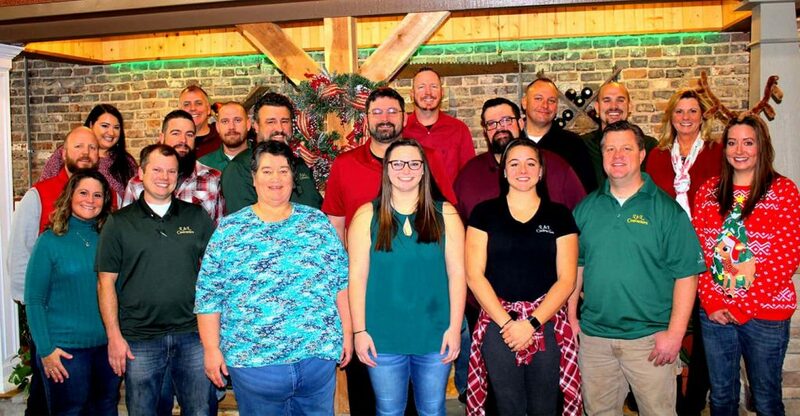 Contact us to schedule a consultation for your remodel or roofing service today!